Mr. Borys Wrzesnewskyj (Etobicoke Centre, Lib. 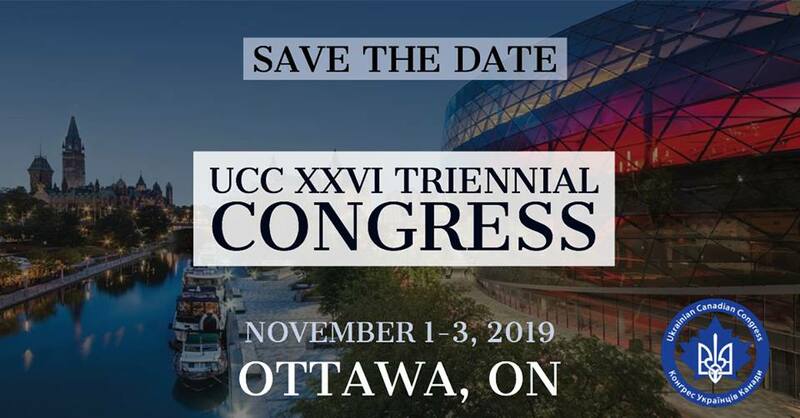 ): Mr. Speaker, during this National Holodomor Awareness Week, throughout Canada we pause to reflect on the 1932-33 famine-genocide executed by Soviet dictator Joseph Stalin against the Ukrainian people. In Kyiv, the Holodomor memorial is a statue of a small starving girl holding three sheaves of wheat. Stalin decreed food illegal for Ukrainian peasants. Having as little as three sheaves of wheat was a crime and the penalty was death. Wherever Ukrainian peasants lived, armed Communist red brigades enforced this decree. Peasant farmers suffered the slow pain of death by starvation and the excruciating pain of watching their children and spouses slowly starve to death with them. In the very breadbasket of Europe, one by one, millions laid their starving bodies onto Ukraine’s fertile black soil to die. Seventy years later, on our watch, a similar genocide by attrition took place in Darfur. During National Holodomor Awareness Week, let us pledge that “never again” will finally mean never again. MP Borys Wrzesnewskyj (left) and House of Commons Speaker Hon. 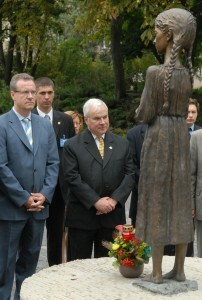 Peter Milliken (right) at the Holodomor Memorial in Kyiv during an official parliamentary visit to Ukraine in September 2009.